Mitchell Park Zoo is situated in the Morningside suburb of Durban, KwaZulu-Natal. It is one of eThekwini’s best-kept secrets. Mitchell Park Zoo is named after Sir Charles Bullen Hugh Mitchell. Its history dates back to the early 1900s. It was established as an ostrich farm 1910. However, Sir Charles soon realized that the grounds would be better used as a zoo. Thus, the Mitchell Park Zoo was born. A variety of birds in the walk-through aviary. Picnic lawns and braai areas, with plenty of room to enjoy a game of cricket or Frisbee. Playground with jungle gyms, swings, slides, and other equipment for small children. Bandstand venue that can be booked for parties and other events, at a cost of R130 for 4 hours. The zoo then became home to a large variety of animals, including leopards, lions, crocodiles and many kinds of bird. One of the most memorable animals at the zoo was an Indian elephant named Nellie. Nellie was given to the zoo by the Maharajah of Mysore in 1928 and could blow a mouth organ and crack coconuts with her feet. These animals once roamed freely in this natural habitat at Kwazulu-Natal province. Today, Mitchell Park Zoo has a whole lot of small animals, including crocodiles, small antelope buck, raccoons, cranes, flamingoes, wallabies, monkeys, and tortoises. The Zoo’s oldest resident is over 100 years old Aldabra tortoise named Admiral. Admiral was left at the Zoo in 1915 by a naval officer and has long since become a neighborhood legend for Durban residents. 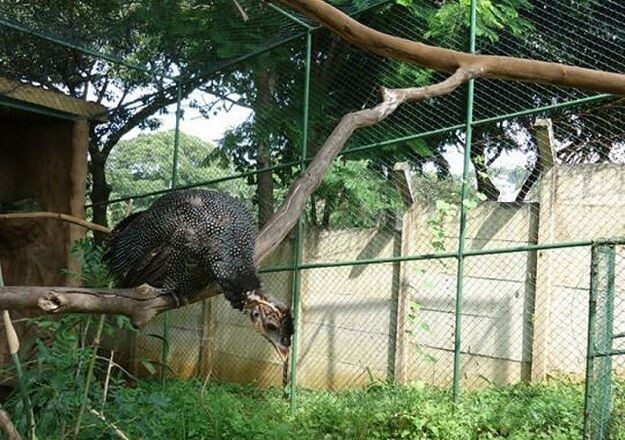 The zoo also has a walk-through aviary allows you to get close-up views of many beautiful bird varieties. These animals occupied a large part of the zoo. The remainder consisted of beautifully landscaped gardens. The Mitchell Park Zoo also boasts a sand-filled playground allows small children to enjoy playing on jungle gyms, swings, slides and other equipment. While the kids enjoy at the playground, the parents may sit and relax among the nestled trees and flowerbeds. The kids are not the only ones who get to enjoy in the Mitchell Park Zoo but the whole family too because there are carefully tended lawns that are perfect for family picnics. Staff members of the zoo also teach children about the animals and plants found at the zoo and educates visitors on how to preserve natural wonders such as the Mitchell Park zoo so that future generations may also enjoy them. For the kids, the Mitchell Park Zoo is a wonderland of exciting sights, sounds, and experiences. 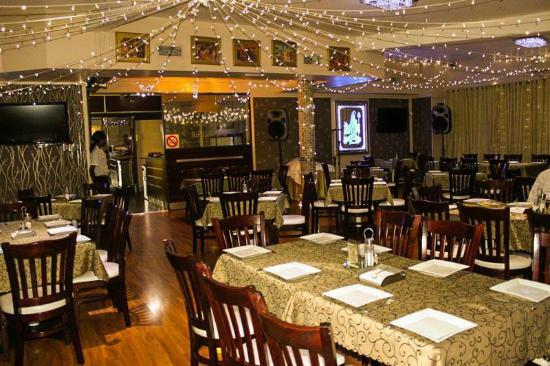 Established in 1914, Blue Zoo is Durban’s oldest restaurant. 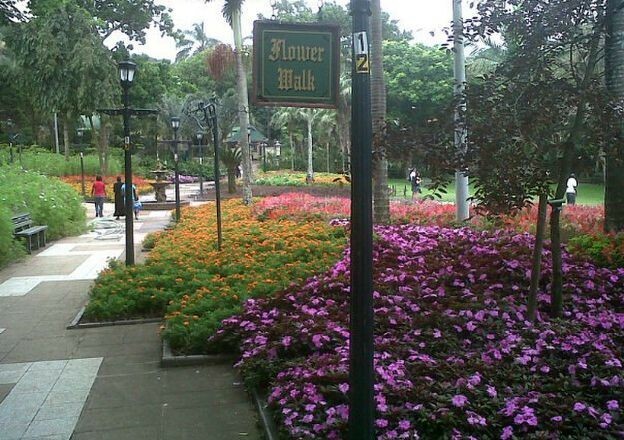 Blue Zoo is surrounded and shaded by trees, with rich, colorful flowerbeds lining the periphery. 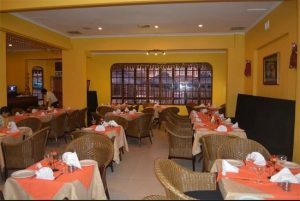 The restaurant has a wide array of indoor and outdoor seating as well as a jungle gym, swing, play-house, sand-art area and play tables for the children. Blue Zoo’s menu has a wide variety of wonderful dishes ranging from light or hearty breakfasts, lunch, and snacks. Whether you are coming for breakfast, lunch, snacks or afternoon tea, Blue Zoo has a well-rounded menu for you. The restaurant also caters for special events such as weddings and parties. Home to a wide range of interesting and exciting animals and surrounded by the lush, landscaped gardens and blazes of colorful flowerbeds, the zoo holds claim to being the only zoo in Durban. Being a perfect spot for family picnics, a venue for kids’ learning expedition and play time, Mitchell Park Zoo is definitely one of Durban’s must-visit destinations. The uShaka Marine World is a 16-hectare theme park situated in Durban, KwaZulu-Natal, South Africa. The uShaka Marine World has fast positioned itself as a key attraction on Durban’s Golden Mile, offering a world of excitement, entertainment, uniqueness, and fun. It is a safe, secure and clean environment that resonates the sound of fun, laughter and the spirit of togetherness. This theme park was awarded for “Outstanding Achievement in thematic creative design” by the Themed Entertainment Association. 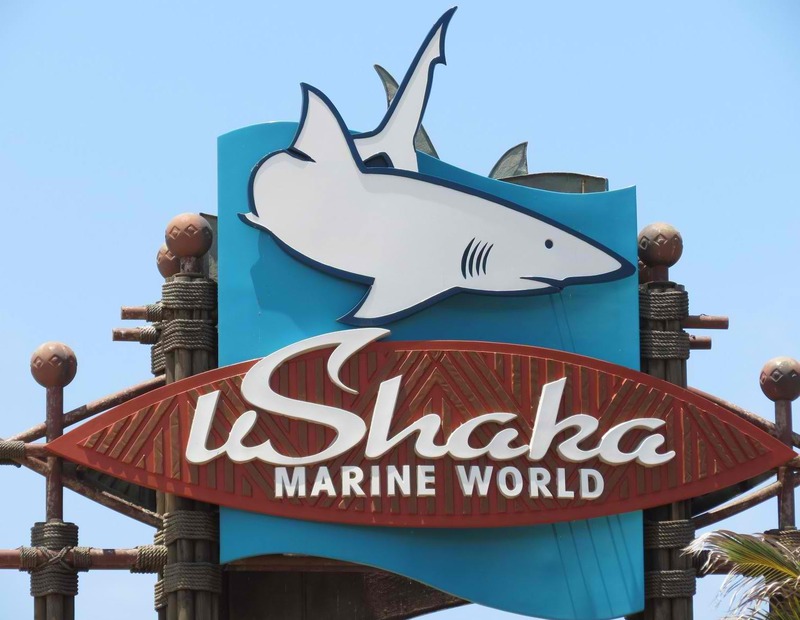 The uShaka Marine World comprises of 5 sections: uShaka Sea World, uShaka Wet ‘n Wild, uShaka Beach, uShaka Village Walk and, uShaka Kids World. The entertainment is non-stop, extending from the daytime operations of Sea World, Wet â€˜n Wild, and uShaka Beach, to the night time festivities of the Village Walk. The uShaka Sea World is the fifth largest aquarium in the world, with 32 tanks totaling 17,500 cubic meters of water. It is home to shark species such as ragged-tooth sharks, spinner sharks, hammerhead sharks, and local catsharks, large rays including eagle rays, local moray species including honeycomb morays and geometric morays, local gamefish, and large fish species including giant groupers, potato bass, kingfish, and cobia. The uShaka Sea World offers dolphin shows, seal shows, penguin presentations, shark dives and ray feeds that will give everyone a very entertaining experience. 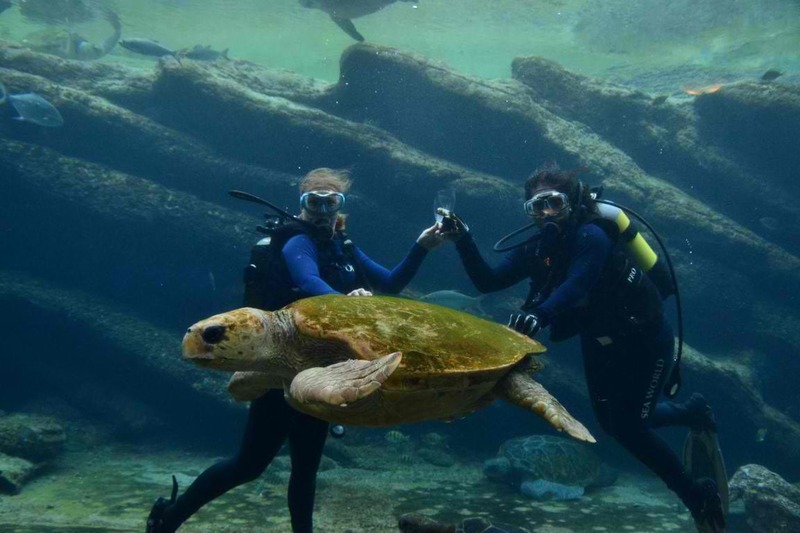 Experience these exquisite sea creatures at Sea Animal Encounters Island. Sea World boasts an impressive Dolphin Stadium, seating over 1 200 spectators, who are thrilled and delighted with two dolphins show presentations each day. Each and every display in the Sea World was designed to represent not only the natural habitat of the sea creatures but to depict a story the ties in with the Phantom Ship theme. the uShaka aquarium is breathtaking. The uShaka Wet ‘n Wild have the A fun freshwater world of slides and pools. It boasts the Highest slide in the southern hemisphere. 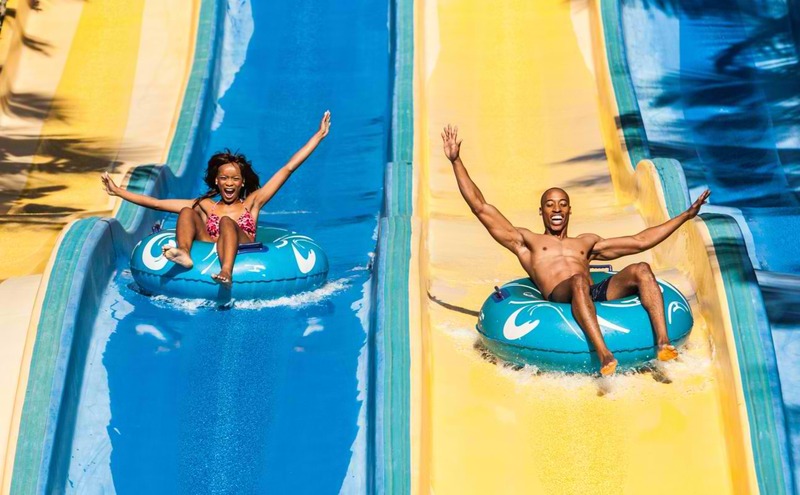 uShaka Wet ‘n Wild challenging slides you cannot miss like the Mamba Tunnel Slide, Multi-Lane Racer, Kamikaze Speed Slide, Free Fall Slide, The Drop Zone, Family Rafter, Fast River Ride and Adventure Ride. 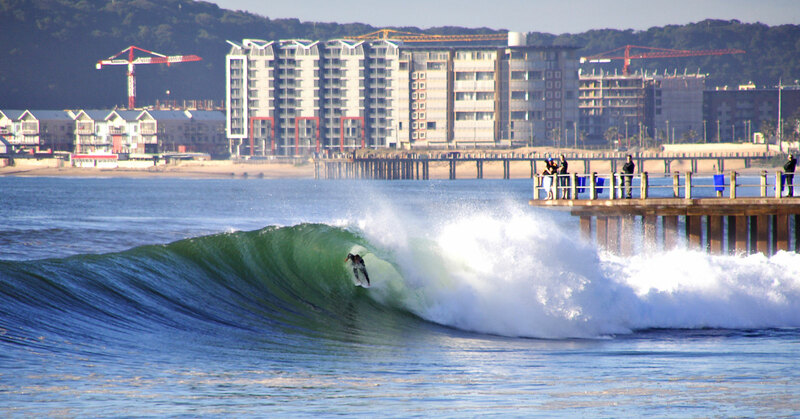 The uShaka Beach boasts sandy beaches and a large pier leading out into the ocean. It is a well-known family beach attracting both locals and tourists to its sandy shores. Dolphins and whales can be spotted on the beach. 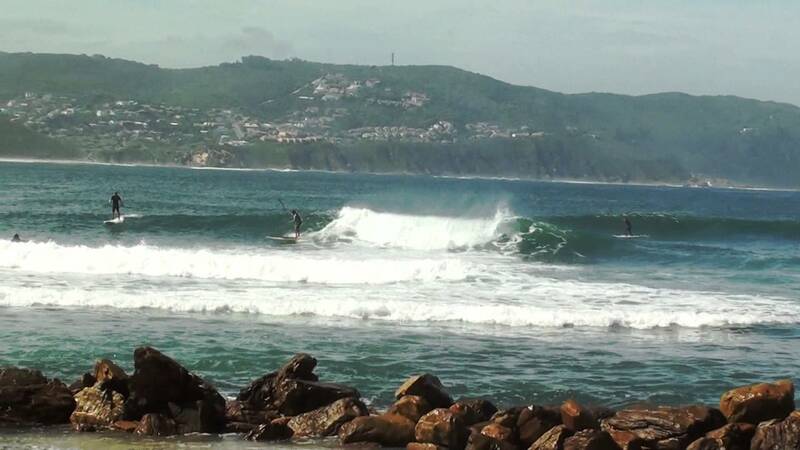 The uShaka Beach is family-friendly beach is a fantastic spot for beginner surfers and is popular for kayaking and kitesurfing. This beach is an especially good option if you’re a beginner to the waves and want to get some experience in the sea without plenty of crowds. The uShaka Village Walk is South Africa’s number one open-air shopping mall. It offers a unique shopping experience. offering. affording guests a world of entertainment, family fun, shopping, and dining. 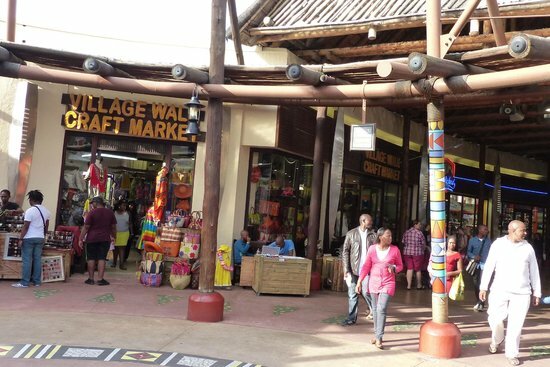 The uShaka Village Walk a shoppers paradise in an open-air environment. As you roam around the African-themed uShaka Village Walk, you can smell the tasty food from the dozens of food outlets. You can choose from fast food to family restaurants with specialized cuisine. In the uShaka Village Walk, visitors enjoy not only shopping and eating but also enjoy the panoramic sea views. The uShaka Kids World is a place where children truly have the freedom to play. The uShaka Kids World is alongside the ever-popular Sea World. 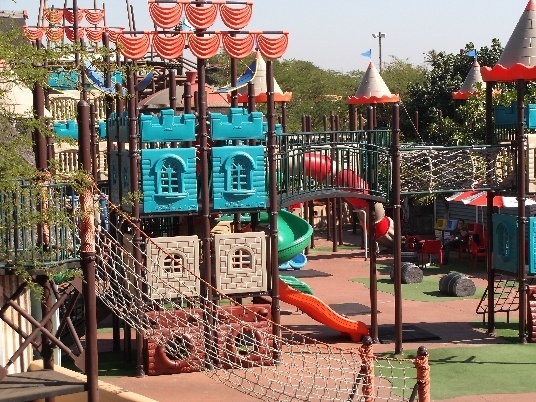 It is designed with jam-packed activities and interactive areas for kids from the ages of 2yrs to 12yrs. There 25 things kids can do at Kids World. Kids will experience a jam-packed day full of activities and interactive areas that will leave them astounded and amazed. Kids can meet parrots and find out more about feathered friends in a fun and educational bird show. The uShaka Kids Word has the Africa’s largest jungle gym which is filled with twisting and turning slides, netted mazes, tunnels, stairways, link bridges, swings and much more. A number of incredible birds can be seen in Durban and in the surrounding areas. Because of this, a lot of people travel to South Africa specifically because of birdwatching. If this is something that you are planning on doing, you will want to glimpse as many birds as possible. While you can see a variety of birds while walking around Durban, you won’t be able to see rare birds that way. If you want to see a number of birds up close, you are going to have to look for the best birdwatching spots in Durban. Follow these tips if you’re planning on birdwatching in the Durban area. If your primary goal is to see a lot of birds, you should consider going on some sort of birdwatching tours. There are a number of tours available, and some of them are a big hit with travelers. Because there are so many kinds of tours, you can find something that is well-suited to you. 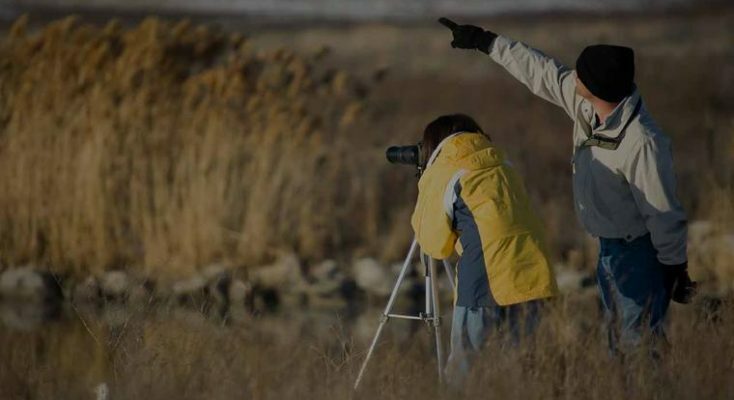 If you have a lot of experience birding, you can go out with other expert birders. 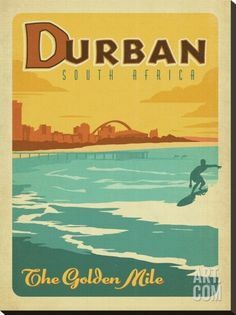 Reach out to other tourists that have been to Durban in the past. Find out if they went birdwatching while they were there. If they did, see if there are any spots that they would recommend. 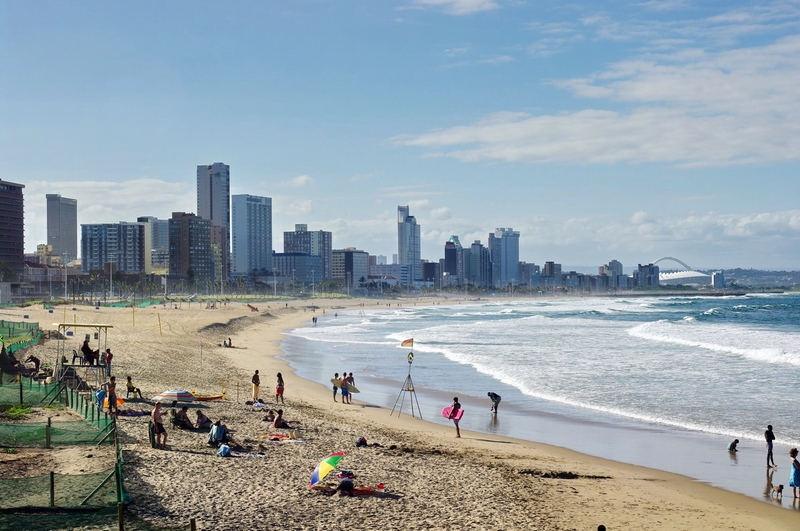 You can learn a great deal by listening to people have visited Durban before. Talk to as many former tourists as you can. They should be able to pass along some valuable advice. If you aren’t a member of a birdwatching community, you should try to join one as soon as you can. A lot of these communities are filled with experienced birders, and they can be an incredible resource. 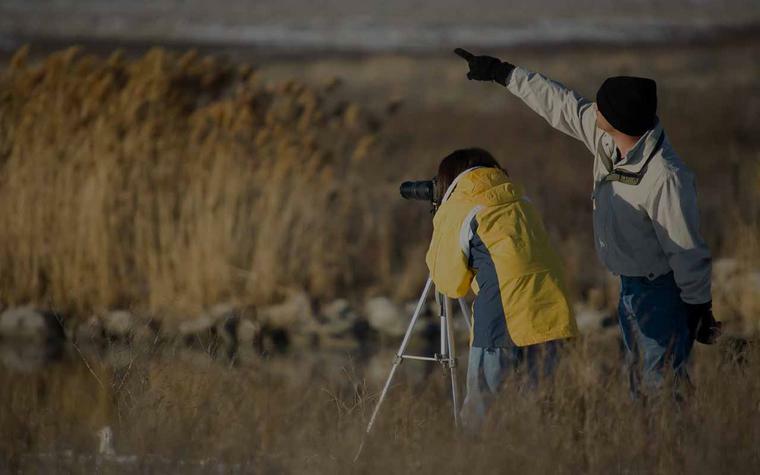 If you join a community, you can find out how to discover great birdwatching spots. You can also learn about Durban specifically. This area is famous for birdwatching, and it is likely that many people in a birdwatching community will have traveled there in the past. Sometimes, the best way to learn something new is by researching it yourself. When you go online, you can find out all about the top-rated birdwatching locations. 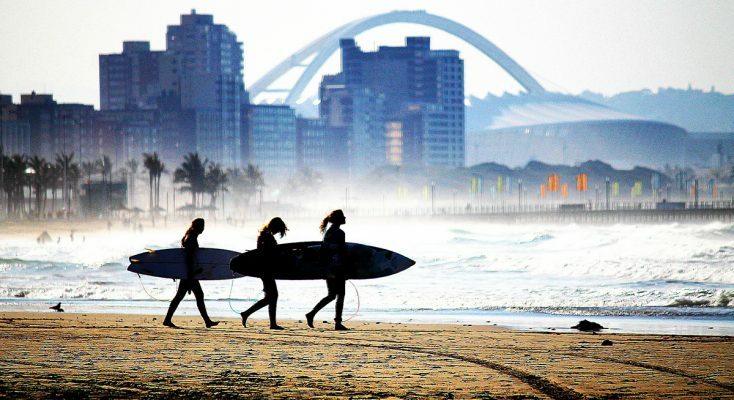 You can see which Durban spots are popular with locals, and find the spots that tourists love as well. Take the time to read up on the various birdwatching spots in this area. 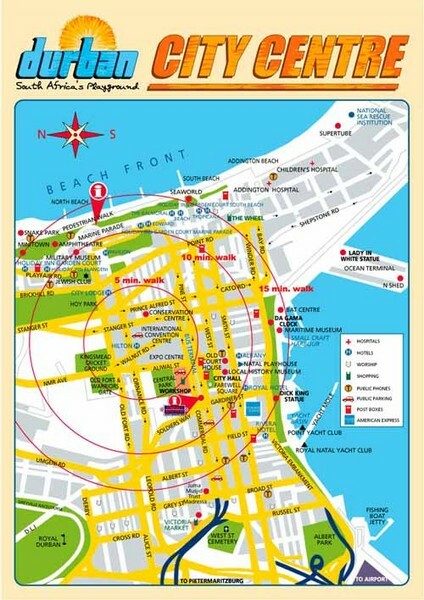 Find the spots that you can get to on your own, and learn more about the spots that you will need to visit as part of a tour. If you want to see a lot of birds, you need to head out at the right time. Bird activity can change dramatically based on the time of day. Some birds are at their most active at the crack of dawn. Other birds only head out at night. If you learn more about the kinds of birds that are native to Durban, you can plan your birdwatching expedition at the best possible time. You’ll be able to see all kinds of birds when you go out, and you’ll be able to snap all kinds of amazing pictures. 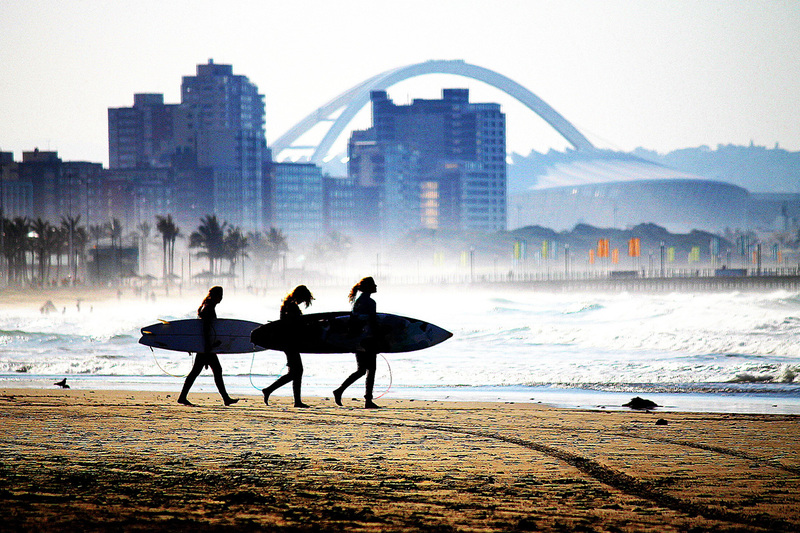 If you are going to Durban, there are a lot of things you are going to want to try to do. You’ll want to enjoy the beaches as well as the various local attractions. However, you should also make some time for birdwatching! You’ll be able to see barn swallows, red-backed shrikes, and so much more. Kwazulu Natal, home of the legend of Shaka Zulu, celebrated th king of the Zulus from 1787 to 1828, is replete with a myriad of natural wildlife attractions. Kwazulu Natal is the land of the Zulus. 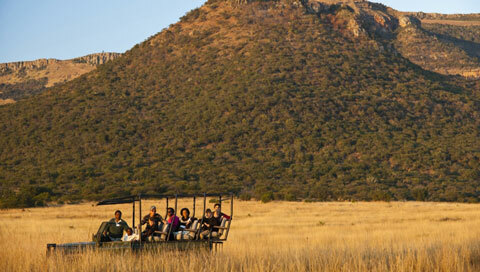 Whether you want to explore, study or relax, Kwazulu is a wildlife lover utopia. The wildlife parks of Hluhluwe, Ithala, Ndumo and uMkhuze have consistently been voted as the best brands in Kwazulu Natal wildlife by visitors. Kwazulu Natal has a lot to offer for the explorer, researcher or holiday maker. You can enjoy yourself by doing Durban city walking tours. A great way to take in the bustling street scenes. A Zulu dance or two is never far away. You will see a fascinating colonial, eastern and African architecture and experience a ride in a minibus taxi and head for the township for chis-yama. No trip to the city is complete without the traditional Durban bunny chow. Just remember is comes with strong curry. You will undoubtedly come across traditional medicines as you trail through town. There are plenty of places to enjoy a sundowner after a hard days walk. The legendary Hluhluwe wildlife park was established in 1895, it is the oldest park in South Africa. Hluhluwe is not far from the Ulundi airport. King Shaka is celebrated to have protected wildlife in this area. By far one of the most fulfilling ways to soak in this wilderness gift is to go on a wilderness trail. A short 3 days trail can be booked from http://www.kznwildlife.com/. Hluhluwe is home to the big five game species of lion, elephant, rhino, leopard, and buffalo.The best season for experiencing safari is to come during the dry season between September and November. Water shortages cause the game to congregate around waterholes and vegetation is thin, enabling easy spotting of a variety of game. 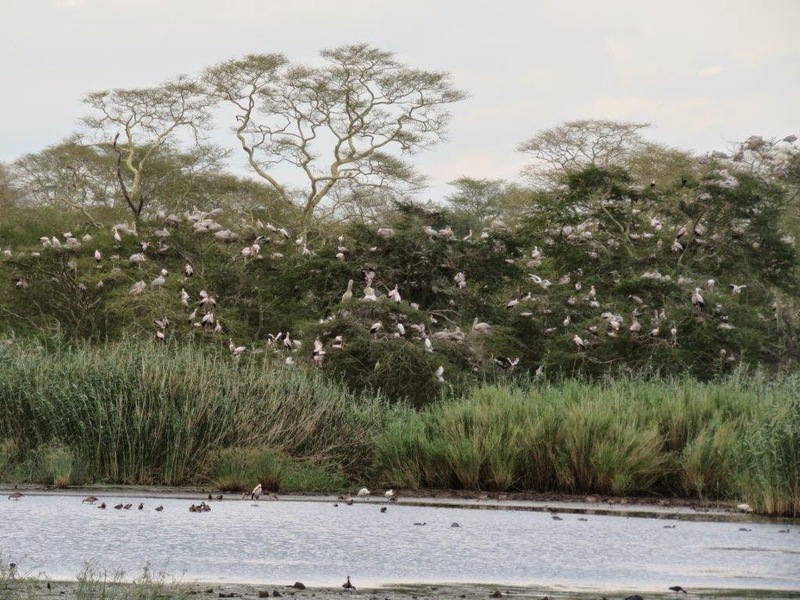 Apart from the game, there is a rich source of fauna and flora and over 300 bird species. Moreover, the park is celebrated for its conservation efforts toward the critically endangered rhino. Nestled in the Ngotshe Mountains is the Ithala wildlife park. It is just about 400km north of Durban. It is a focal point for the archeologically inclined. It is here that the axe head and spears used many years ago were found, including the world’s oldest rock formations. The historical Voortrekkers arrived in Italy and it here that the well-known anglo Zulu and Boer war waged in the nineteen century. Apart from its rich historicity and archeology Ithala is mountainous and a boon for the mountain climber. Game is available, together with an interesting species of insects, mammals, and reptiles. The premier place to stay undoubtedly is Ntshondwe lodge. This an establishment situated under the hill with a panoramic view of the Ntshondwe valleys. At Ndumo wildlife park, Kwazulu Natal brings a utopia for bird lovers. This area alone boasts over 300 bird species. This ornithology paradise is also equipped with amazing fever tree forests. The game drives are offered in the form in open vehicles, here you can see white and black rhino, buffalo and hippo among others. The chief focal feature of the park undoubtedly is the Nyamithi and Banzi pans. There are nature walks available for close encounter with a variety of ecosystems available in this park. No trip is complete in Kwazulu Natal without visiting uMkhuse wildlife park. Also known as Sodwana Bay. 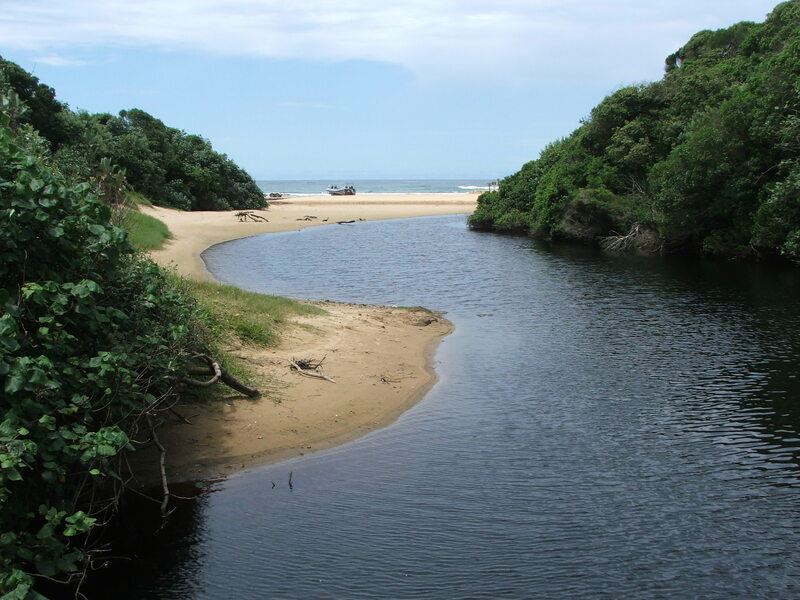 It is part of the celebrated iSimangaliso wetland park. UMkhuse is about 350 kilometers from Durban while iSimangaliso is roughly 3.6 hours from Durban. Here you will find hyena, impala, kudu, elephant, giraffe and hippo. Your place of rest is Mantuma camp. There are a variety of own catering units. 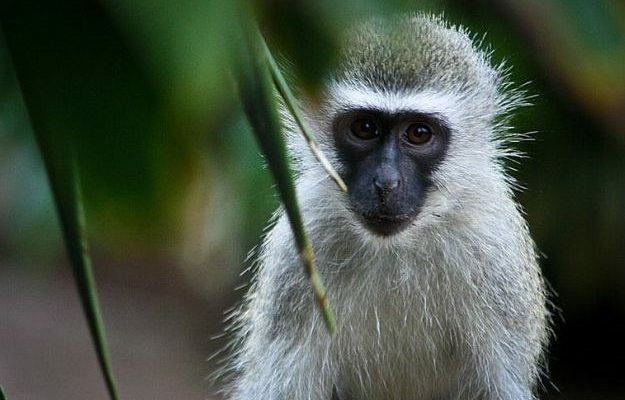 At uMkhuse wildfire park, you can also indulge in guided fig tree forest walk in. The Kwazulu Natal wildlife parks have everything for everyone. 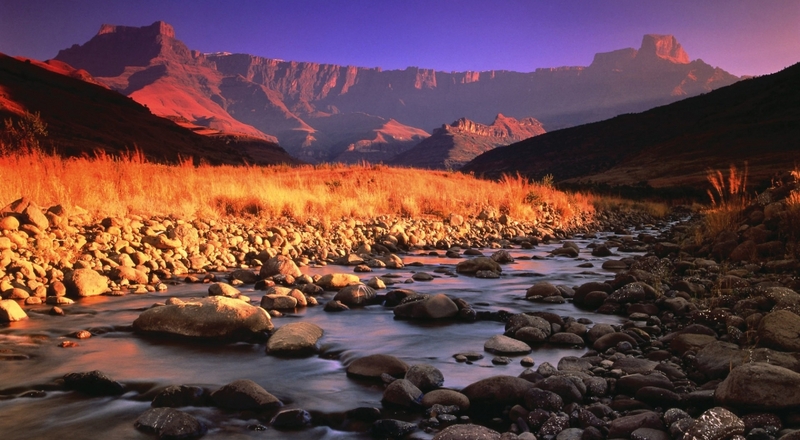 Whatever season you chose to visit, whether in the cool and dry season from May to August or hot and dry season from September to November; you are sure to experience a time of breathtaking natural splendor, mountain beauty, valley bushveld, riverine gorges, cascading waterfalls, forested pathways, forested dunes, brilliant coral reefs, scenic natural surroundings and majestic game. If you are looking for somewhere wilder, untamed and a bit more luxurious think about going on a Londolozi Safari. 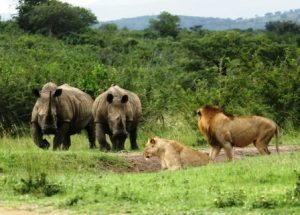 To book any of these Safaris visit Iconic Africa. 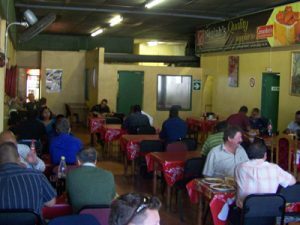 South Africa is home to many great restaurants featuring all different types of cuisines. 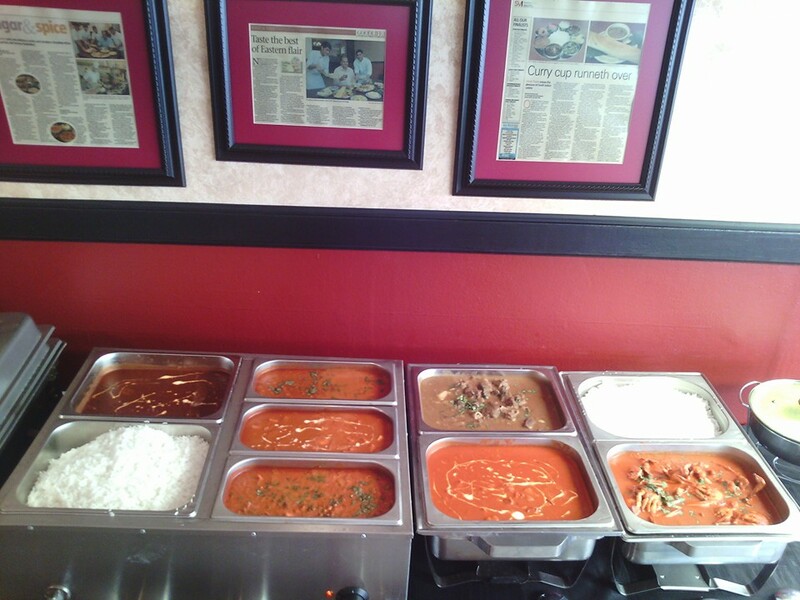 Curry restaurants that offer up authentic Indian recipes are some of the favorites. Durban is located in South Africa, specifically part of Kwa-Zulu Natal, and there are many great Indian restaurants there. This article is going to feature the best four and then mention a few other choices briefly at the end. That way you’re going to know which Indian restaurants you’re going to want to enjoy while vacationing in Durban. Mali’s Indian Restaurant is considered to be the best according to one travel site. There are pictures showing the interior of the restaurant, and it looks very nice, intimate, complete with peach tablecloths and wicker chair seating. The ambiance of the restaurant might be nice, but what can you expect when it comes to the menu? Butter chicken and Dragon chicken are just two of the menu choices, and there are all kinds of unique entrees to try. Mali’s is a favorite of the locals, so you know you can’t go wrong there. You’re going to get great Durban curries at any of these featured restaurants that serve up Indian cuisine. 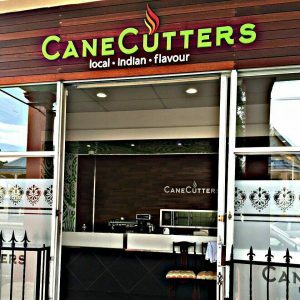 However, this specific restaurant, Cane Cutters, is known for serving up some of the most delicious Durban curries. This restaurant is said to serve up home style food, which is authentic to the culture and gives you a taste of what it’s really like to eat in Durban. The Mutton Bunny Chow is evidently one of the most popular dishes this restaurant makes. Goundens is the third restaurant we’re going to feature, and you can be rest assured mutton bunny chow is also on the menu there, too. Fish curry is a popular menu choice as well, and generous portions are mentioned in the reviews so you know. That’s good to know when you’re going to eat at a restaurant that you’ve never experienced before. Plus, who doesn’t want generous portions when you’re on vacation? The Little India Restaurant is the 4th featured restaurant. Remember, you’re going to get some honorable mentions as well to help you find the best restaurant in Durban near you. This restaurant is found on Musgrave Road, and it’s definitely one of the best. Enjoy some fish curry, lamb saag or some other favorite dish along with masala tea and some live music. This place is known for having an entertaining atmosphere, so that means you know you can show up not just for the food but for the fun. 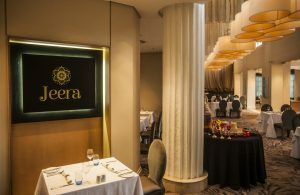 The first honorable mention I’m going to tell you about is Jeera, an Indian restaurant that is located on Battery Beach Road. Did someone say beach? Oh, you’re going to be doing plenty of cool things for sure while vacationing in South Africa, especially since you know which Durban restaurants to visit now. Jeera offers what is known as a tasting platter according to reviews, so that sounds nice, a way to sample the menu. Jeera offers up all the favorites, so it would definitely be a good pick as well. Then there is The Oriental Restaurant, whose reviews again mention the Mutton Bunny Chow dish. If you visit Durban and don’t try that dish, I would be surprised. There are other restaurants in Durban that serve up different cuisines of course, but Indian restaurants are some of the best. Bombay Blue is a third honorable mention. Then there is also House of Curries on Florida. Your original mission was to find the best Durban curry restaurants, and this one has it in its name, the House of Curries. Enjoy those delicious Indian dishes, and take notes so that you can make some of those recipes when you get back home.